The 27-inch display also packs in Dell's spin on HDR. Dell is hoping to turn some heads at CES with the 27 Ultrathin, which features an impressively slim 6.9mm edge. Instead of having most of its hardware sitting behind the screen, Dell moved all of that stuff down to the base, which makes the monitor seem almost like an all-in-one machine at first. The 27-inch Quad HD (2,560 by 1,440 pixels) screen also supports HDR, though Dell was quick to note that it's not the same as HDR standards you'll find in 4K TVs. 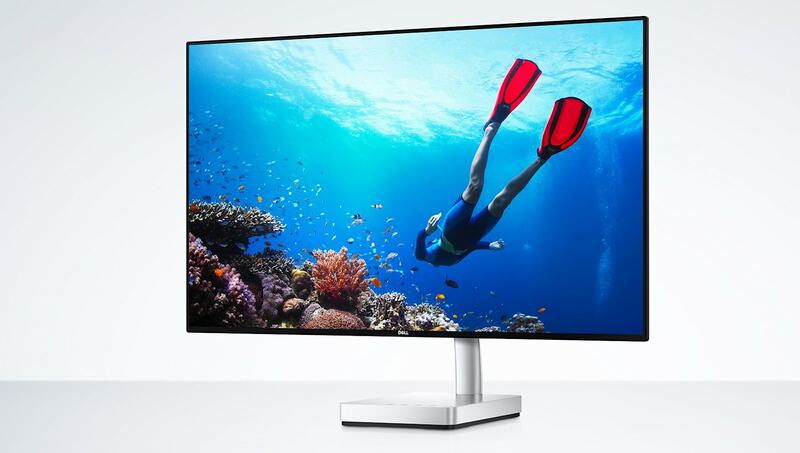 Still, the company says it'll support higher contrast and color range than most consumer monitors, with support for up to 99 percent of the SRGB gamut. The screen also pivots on its stand, which lets you adjust its angle. Based on a brief demonstration, the 27 Ultrathin certainly looks impressive. Bright colors simply pop on the screen, and there's a wonderful depth to complex imagery. 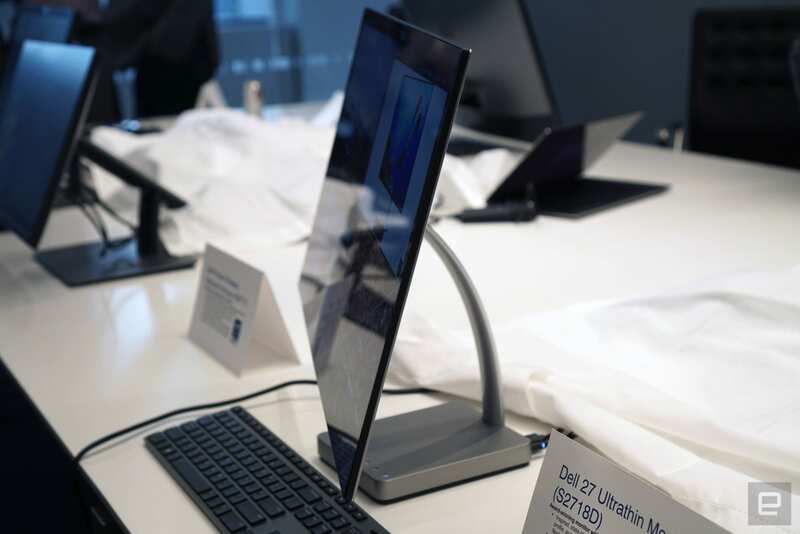 The slim display is impressive from just about every angle (Dell says it supports a 178-degree viewing angle), and its thin bezel also takes a cue from the XPS laptop lineup. While the base is a bit chunky, I didn't notice it much since I was too busy gawking at the screen. The monitor also includes a USB-C connection with power support, an HDMI 2.0 port and an audio line out. You can grab the Dell 27 Ultrathin on March 23rd for $700.